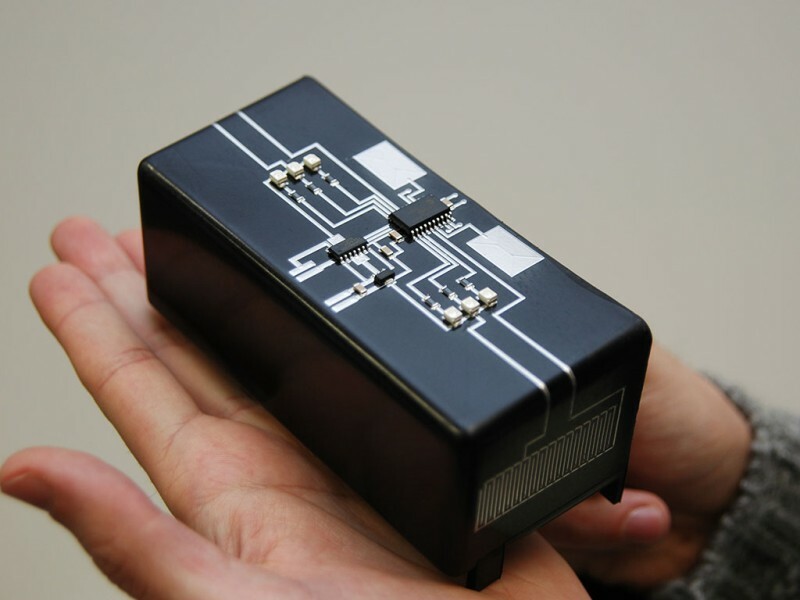 Printed electronics and 3D-printing systems are coming together and enabling new applications. The current state of this technology and its potential are a hot topic at LOPEC, the international exhibition and conference for the printed-electronics industry, which will be held from March 13 to 15, 2018, at the Messe München exhibition grounds. Printed electronics is about to enter the third dimension: Circuits and much more will no longer be printed simply on foil and other flat surfaces. They will also be integrated into three-dimensional objects. “3D-printed electronics are an emerging market,” says Dr. Takao Someya, a professor at the University of Tokyo and a member of the LOPEC’s Scientific Board. “New printing technology can be used to place electronic functions on both the surfaces of complex components and integrate them inside the components as well.” All questions regarding 3D-printed electronics will be answered at the LOPEC from March 13 to 15, 2018 in Munich, Germany. In his keynote address to the LOPEC Congress 2018, Someya will present a conductive printing ink made of an elastomer that contains nano-silver particles. The material can be stretched to as much as five times its original length without losing any of its electric properties. In their work, Japanese researchers have produced elastic printing and temperature sensors that can be laminated onto arbitrarily shaped objects and textiles. LOPEC exhibitor Neotech AMT of Nuremberg offers systems that print conductor tracks and other electrically active structures directly onto 3D components. The consumer electronics and automotive industries use this technology to print antennas and heating elements on curved plastic surfaces, among other things. Many industries are eagerly awaiting 3D printers that create objects layer by layer and integrate electronic elements while doing so. With the help of several print heads, these printers can combine a number of plastics or even metal with plastic or ceramics. Researchers at the Fraunhofer Institute for Manufacturing Technology and Advanced Materials (IFAM) have printed a combination of conventional and electrically conducive plastics to create conductor tracks within plastic objects. The OE-A member (Organic and Printed Electronics Association) will also be represented at LOPEC. One of the challenges posed by 3D-multimaterial printing is the tempering of the various materials. Printing inks that contain metal particles must usually undergo a high-temperature treatment to form their electric properties. LOPEC exhibitor NovaCentrix of the United States has developed a solution that flashes extremely short bursts of pulsed light onto the printed metal structure. 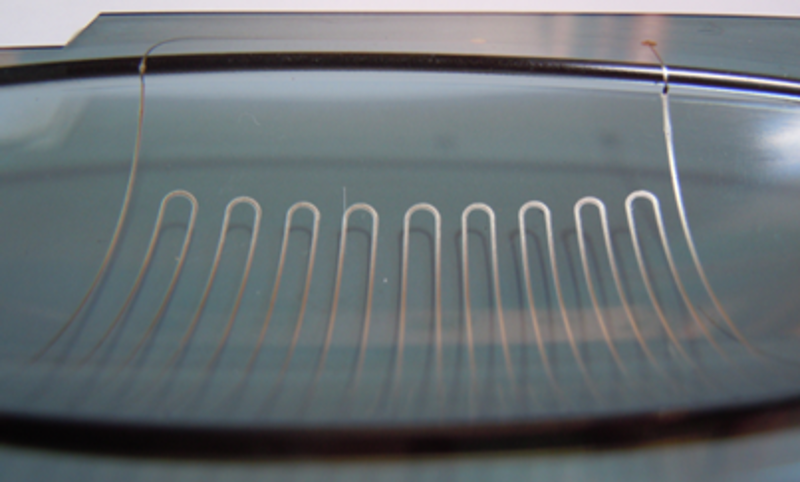 This process can be used on heat-sensitive plastics without causing any damage. Printed electronics has already become an integral part of the aviation industry. Sensors, light-emitting diodes and other elements made with state-of-the-art printing technologies are already being used in planes. “Up to now, we have only been printing two dimensionally on flat surfaces,” Takao Someya says. “This limitation is now a thing of the past.” In the future, supplemental electronic functions will be integrated into all possible products almost effortlessly. The combination of printed electronics and 3D-printing will revolutionize industrial production in every sector. LOPEC 2018 will offer insights into the electronics of the future. 3D printed circuits form Neotech AMT can be used to create heater patterns on materials such as PC for automotive applications.